Tired of spam/fake reviews? Us too. 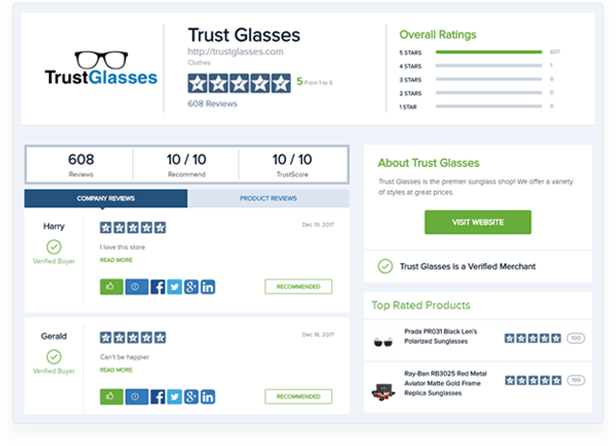 TrustSpot is a verified review platform, meaning only people who purchase your services can leave reviews. Proudly display your glowing customer reviews to your website visitors and on social media channels to increase visitor confidence in your services. New customers are very hesitant to sign up for a service without seeing reviews for it. Customer development is key to growing a business. Deeply listen to and engage with customers through TrustSpot. 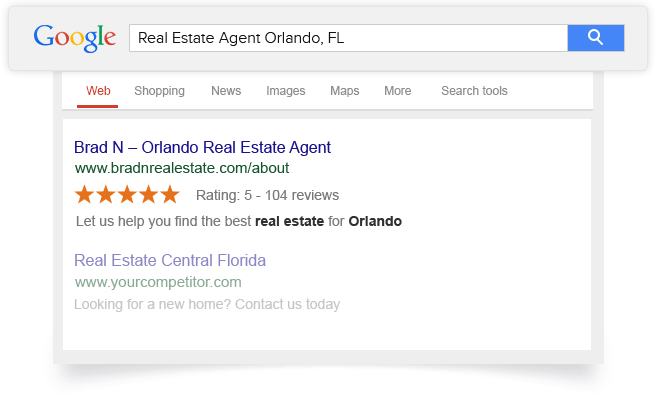 Many companies suffer from high ranking negative review sites like Ripoff Report or Consumer Affairs. 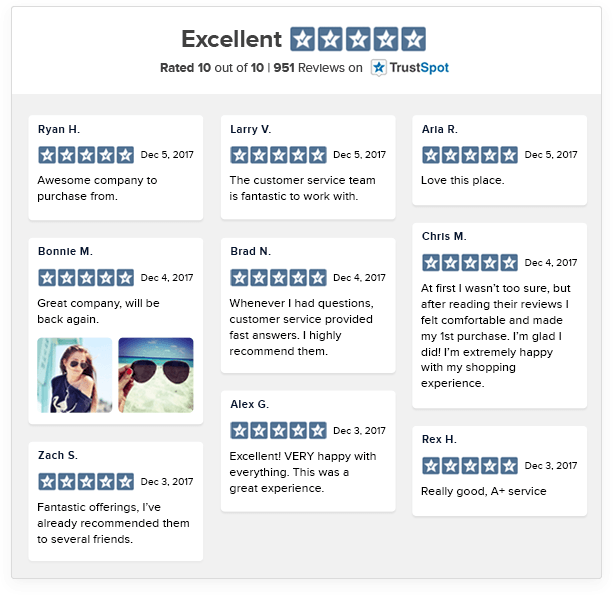 Display all of your happy customer reviews on a dedicated review page.